Think physics can't be fun? 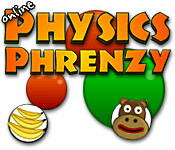 Figure out which way the monkey bounces and use your smarts to help him reach his bananas.Guide the monkey to his bananas.Go bananas for physics with Online Physics Phrenzy! 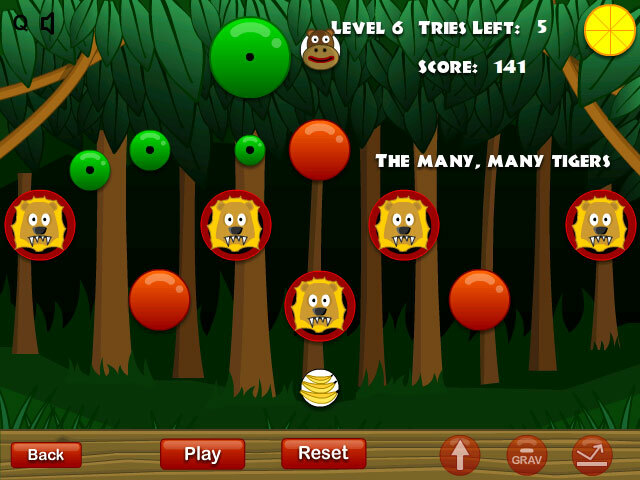 In this jungle-themed online game, you must figure out which way the monkey bounces and use your smarts to help him reach his delicious bananas. 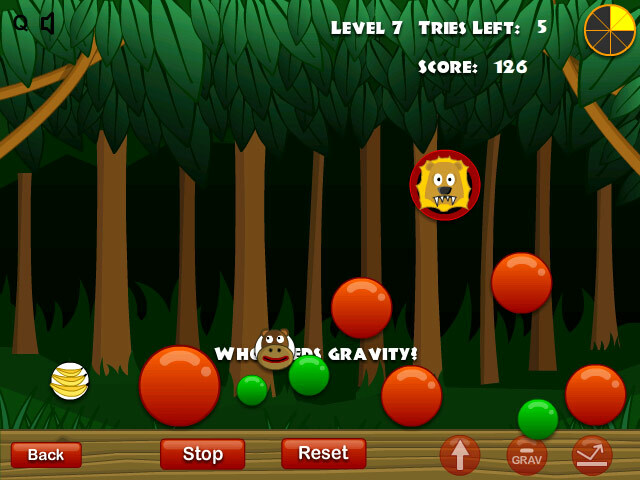 Use your mouse to position the green balls and then press play to start the monkey bouncing. Earn upgrades and tools, but beware of the ferocious tigers! With tons of levels to master, you'll be a physicist in no time when you play Online Physics Phrenzy.